After reading up on duck eggs, I decided I didn’t want to make leche flans using ONLY duck eggs. Frankly, I was frightened it would simply be too rich. So I opted for the following recipe: 14 chicken egg yolks, 1 whole chicken egg, 8 duck egg yolks, though some whites found their way into the mixture, 5.5 cups of carabao’s milk, 2 and 3/4 cups sugar, and a little dayap zest and a few drops of juice. I could have used all 10 duck eggs in this recipe and you may want to do so if you try it for yourself. Refer to previous posts for method to cook it… The only difference is that I added dayap zest and let the mixture sit for half an hour, after which I strained out the zest. Add a few drops of dayap juice as well. And use dayap, not green lemon, there is a huge difference in fragrance. Eggs – If using chicken eggs, try and get organic eggs. If the the eggs are small, add an extra yolk or two to the recipe, it won’t kill you. The better the egg yolks, the better your flan. I like the concept of mostly egg yolks and one whole egg, in other words, very little egg white included in the recipe. It goes without saying that you should use the freshest eggs you can get, as opposed to ones that have been sitting in your fridge for two weeks. If using duck eggs, use one duck egg to replace roughly 1.5 chicken eggs, or measure volume if you want to be more precise. I wouldn’t use all duck eggs unless you do have a death wish. Milk – If you are insistent on using canned milk, then I have to agree on Milkmaid and Alpine, or more specifically, canned products made from whole milk. But if you are serious about your flans, please try whole cow’s milk mixed with heavy cream or anymilk/cream mixture that is roughly 20-25% milk fat content on average. I find using superb carabao’s milk is a brilliant option, particularly if you have access to it, or want to showcase leche flan as a filipino take on creme caramel. Citrus zest – Personally, I love the hint of dayap in leche flan, but I would strain the bits. The dayap adds a layer of flavor that is subtle enough for most to miss, but strong enough for those with good tastebuds to notice immediately. You may also want to add vanilla, but I don’t find it necessary for a pinoy version, perhaps if catering to a more western palate, I would. Caramel – I have tried making the caramel with just sugar and with sugar and water. I actually find, surprisingly, that I can control the browning better when I use just sugar. And I do tend towards a darker caramel, almost a bit bitter, while others like it wickedly sweet. 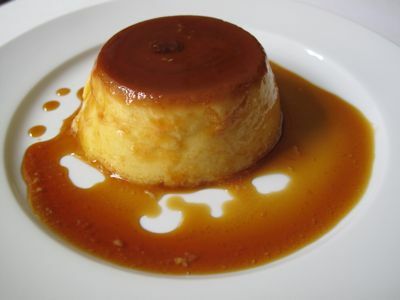 Vessel – While the llaneras are easy and common, I am quite convinced that using a ceramic dish is gentler on the flan, and improves its texture and mitigates potential bubbling. It does take longer to cook, however. Steaming vs. Bain Marie – hands down I prefer bain marie in an oven at say 320F, as opposed to a steaming method. However, if you must steam, make sure the water in your steamer never reaches a boil and it is a VERY gentle steam and you will get good results as well. In the flan baked in a ceramic dish up top, I turned it over soon after taking it out of the oven, I was impatient. But the photo just above, had a night in the fridge and just look at it. It looks as good as it tasted. I did have a bit of difficulty extracting it from the ceramic dish. i will try to use the carabao’s milk. At home our recipe is 3 large whole chicken eggs, 1 can big Alpine evap and 1 cup sugar. This will create 3 regular size llanera. i will replace Alphine with Carabao’s milk next time. Use more egg yolks Bubut, to make up for the less concentrated carabao’s milk vs. the EVAP. Long-time reader here. Amazing leche flan! We have relatives from Laguna whom we visited often when I was a kid. Their leche flans were always made with duck eggs since the town’s main source of income was raising “itik” for their eggs mainly for balut. I’ve always loved these flans, and now know the reason why they were so good (and bad due to the cholesterol). Thinking about how much leche flan I had there as a kid, makes me want to eat oatmeal exclusively for the next year or so. By the way, did I mention that they also had salted duck eggs (with that amazing semi-oily yolk, and with a just-right saltiness)? Talk about childhood cholesterol intake!!!! Okay now I do not want to even TRY frying this version of leche flan! It looks soooo creamy, the melt-in-your-mouth type as opposed to what I have normally been eating – I suspect because of the egg whites. Question: We have an old kind of turbo, the one that’s made of steel (?? or maybe aluminum?? ), and yes its OLDER than me considering I am in the late 20’s. Can I use this huge equipment to do the bain marie method? The heat will be coming from above as opposed to the oven where heat comes from the bottom? Vyanski, I wouldn’t do it in a turbo, a steamer would be a better option or even a bain marie over a double boiler. It looks absolutely WICKED (borrowed form MM)! It has the perfect texture, creaminess, caramelization and taste! No, I have not tasted it, it just looks and sounds that way, hehe. I love dayap in milk-based desserts because it cuts into the richness and just makes it taste so much better; leche flan, tibok-tibok, pastillas. Haaaay. MM, Try smearing the inside of the vessel with butter before pouring the caramel and custard. This should bring the taste and mouth feel of your flan a notch higher and also make extraction easier. Picture perfect! I am sure it tastes real yummy just by looking at the silky smooth texture. No “sugar bubble”. Added dayap zest to the scalded milk makes a difference in taste. 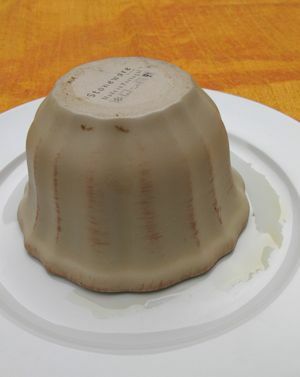 I like using ceramic molds for leche flan, it tempers the heat. Buy those guaranteed for oven use, Apilco or Pulliyuet, sometimes those made in China are not safe for baking. Above flans look excellent. You covered all the gray areas in your quest for delicious, creamy, silky and delightful leche flan including minuscule mold used. You are the LECHE FLAN CHAMPION and deserve the Platinum Award for coming up and sharing with us the blueprint recipe for a perfect leche flan! I believe dayap zest acts like the well-sharpened knife in chopping off the egginess taste in leche flan. I imagine pyrex baking pan which comes in different forms and sizes is a good mold instead of the ceramic ones since they are designed for baking if llanera is an issue. I still like my leche flan napping in the fridge at least overnight before serving it for enhanced flavor and beauty rest before serving it. I like Artisan Chocolatierâ€™s idea of smearing butter in the mold before pouring caramel definitely will add another layer of flavor. My learning process never ends. To make the caramel, I use pure sugar no water. I used to caramelize right in the llanera, on top of the stove. Then I started having problems with that, like burning so quickly, or uneven caramelization. So I tried caramelizing in a small teflon frying pan, then pouring it quickly into the molds. Yielded great results, so that’s how I make the caramel now. And yes, I am a condensada girl, just cause that is how lola used to make it. But I now have an idea for a variation to try. Will let you know how it goes. Is dayap same as keylimes? 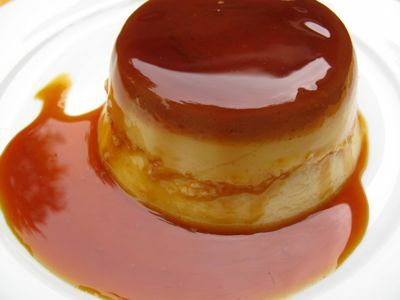 NYCMama, i think you also have to make sure the molds are warm when pouring the caramel, otherwise it will harden quickly and would not fully overlay the bottom and sides of the llanera’s. Yup, Ted…dayap equivalent is key lime. I have seen dayap in some Vietnamese stores, too. ..and no,. they are not the wrinkly makrut either….they look excatly like dayap. Also try East Indian produce stores. since i do not eat leche flan i had to get other testers..they liked the steamed version way better than the baked. What’s next? Ostrich egg Leche Flan? Quail egg Leche Flan? With the success of your Duck Egg trial you can’t stop now. You really are the Christopher Hitchens of Filipino food. mm: my son was just telling me that an ostrich egg is roughly equivalent to 18-24 chicken eggs, so you would just need 1 ostrich egg for your soon-to-be-“hinayupak” na ostrich flan. i am drooling at the creamy photo of this post’s leche flan; however, since i have just been diagnosed with gestational diabetes, i just have to content myself with non-fat yogurt at this moment…pasakit! P.S. Maligayang Araw ng mga Puso sa Inyong Lahat! Happy Valentine’s Day! That last photo screams! Like eating butter at room temperature indeed! Excellent pointers too! the last photo is really mouthwatering. I have now decided to have leche flan for dessert tonight! Happy Heart’s Day MM,Mrs.MM and the Teen!And to all MM fans!Sweet for my sweet!very timely indeed!Leche flan for dessert tonight!I will use carabao’s milk.Thanks MM! Your quest has changed my leche flan too. I now prefer fresh milk with cream..Ma Clara— will try that in pyrex and I could use Artisan’s suggestion to smear sides with a bit of butter and NYCMama’s way of caramelization (if into a pyrex it goes). I’m sold into the bain marie-oven version of MM now. Much easier than steaming now …for me. Happy Hearts Day All!! Your duck leche flan looks so inviting.. I am not suggesting quails eggs. no i’m not. 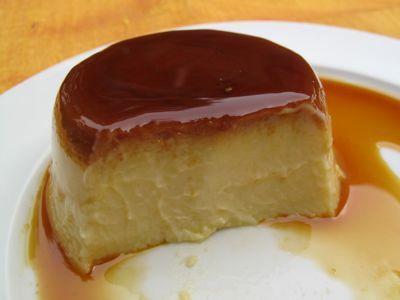 i can imagine the mouthfeel of those leche flans! Leche Flan EB! Leche Flan EB! im going to try out carabao’s milk na, MM again, thank you for the chronicles u made and shared to us to know whats the ultimate leche flan ala market man. just cant get enough of this dessert. happy valentine’s day MM! =) More Power to ur site! wish you all had a happy valentine’s day… huli man daw at magaling, maihahabol din (what an excuse for a tardy greeting! hehehe). Absoluteely sinful! Picture pa lang, dessert na. You will be the death of me MM but I will gladly go as life is too short not to take pleasure and happiness once it’s there for the taking. Haven’t eaten leche flan in a long while but that dayap zest stays in memory for quite some time. ting are you based here in manila or nearby suburbs? there’s goatmilk available commercially, the brand is star goats milk ata… available sa mga pasalubong centers along slex. May I borrow your recipe for leche flan? My 6 year old daughter shrieked when she saw the pic for leche flan. It is her favorite dessert. I live in Marikina City, and unfortunately carabaos no longer travel here, unlike many eons ago when I was still in Antipolo. Is it ok to use the store bought carabao milk i sometimes stumble upon in robinson’s grocery? Thanks and more power to you and your blog. chuchay, of course you may try the recipe, that’s why it’s posted… store bought carabao’s milk is fine, as long as it is fresh. just stumbled on your blog and found this recipe..
just want to ask po..do i still need to add condensed milk or any other kind of canned milk if i use carabao’s milk na? Thank you po..and God Bless. lita, no need for other milk if you are using carabao’s milk. 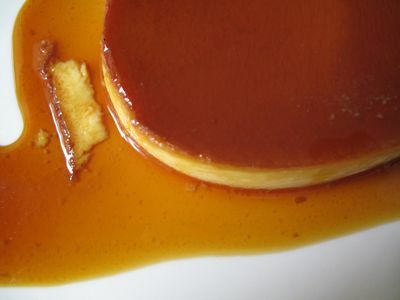 I have several previous posts on leche flan experiments with recipes… Thanks. I’ll have to try this with fresh cow’s milk and duck eggs. No carabaos in this continent. Well, this looks excellent and makes me rethink my honey vanilla ice cream recipe. I will have to look around for some duck eggs now. I haven’t seen fresh carabao milk here in Baguio City, but there is a dairy so fresh milk is quite available. And thanks for the pointers on the caramel. just want to know how can we avoid having bubbles into our flans? cook me, don’t overbeat or overwhisk the ingredients, incorporating more air into the liquid… and if your oven is set too high or too hot, you could also get bubbles. norris, thanks for your comment. However, I must say this is a food blog, not an on-line recipe book. And my intention is to document recipes and other finds as I get to them. If I were to publish a cookbook, then it might follow more the norms you expect of a recipe. There are nearly a dozen posts on leche flan for the sole reason that I have gone at it in several ways. And readers who have followed the blog over the years, it is five years old and has 2.400 posts in the archives, understand the flow of the information shared on the blog. As for leche flan, I stated in the original recipe 375F, but other readers suggest going as low as 300F for the bain marie method. Since most home ovens vary as much as 20-30F up or down on their thermostats, you need to figure out what works for YOU in your kitchen. Even with an accurate cookbook, you still need to test the recipes so you get what you like. As a matter of operating policy, I personally DO NOT test new recipes the day before a major holiday. That is a good recipe for disappointment in some cases. I hope you have a good Thanksgiving… we are in the midst of our preparations at the moment as well. I am perhaps as zealous as you are in making the best leche flan recipe as you are marketman. I have definitely been on an odyssey of some sort in searching for the right recipe…until today! 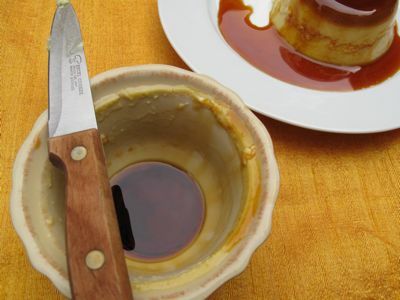 I am almost sure this is the best leche flan recipe on the planet! I had some friends over today for tea – Filipino style. I made palabok and also had canonigo with coconut gelato and for the grand finale the leche flan made with carabao milk. Yes, I had fresh, organic, pasteurised buffalo milk. That’s what they call it here. Well, if you can get buffalo mozzarella and buffalo burgers…you can also get the milk apparently. My Filipino friend (who is a good cook) loved it and said it was better than the condensed milk version that she makes. My foodie friend who is French-Spanish said it was amazing compared to creme caramel, flan or any smilar pudding she has tried. Thanks MM. Next time, I will hunt down some duck eggs and try that version. I’m sure I can get them in Whole Foods. I might even try half buffalo milk, half double cream with the duck eggs. It will be sublime!